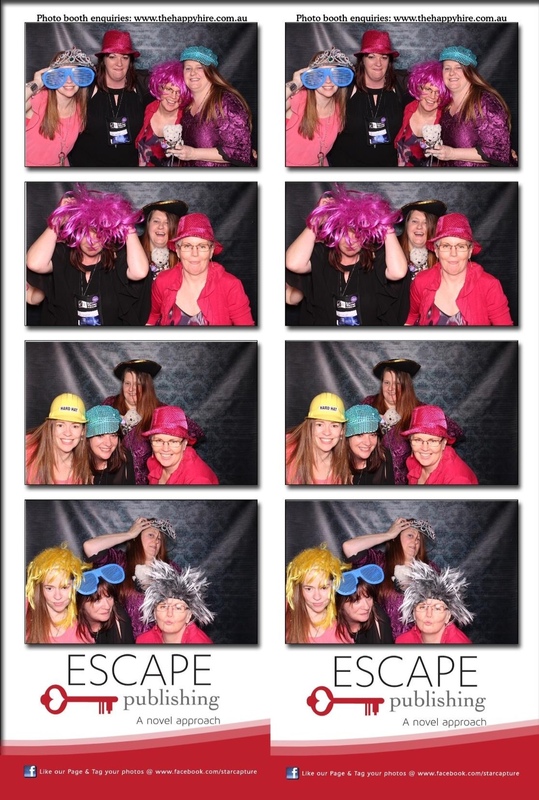 RWA 2014 conference wrap-up and photos! The night before the conference started I went out to dinner with my writing club and critique partners, and then we got comfy in a hotel room for an Offspring party! In other words, we watched the final episode of our favourite TV show Offspring. As a writer, I can tell you that this show is fabulously well-written. We weren’t missing it for anything! #TeamLeo by the way. What’s a writers conference without a bit of tango dancing? 😉 My critique partner Alli Sinclair forced me to do this (really, she did) and one of the photos will be an entry into her tango pose competition she’s running on her blog, which you can check out HERE to win an original oil painting. On Friday there was a very informative and practical workshop by James Scott Bell, and I wrote lots of notes to take back and utilize in my own writing. And he showed some great examples from movies! I like the fact that as a writer, when I’m watching a movie, I can say that I’M WORKING. Friday night = Leather and Lace cocktail party. Maleficent, Cher, Catwoman… just a few of the great costumes worn by enthusiastic dresser-uppers. 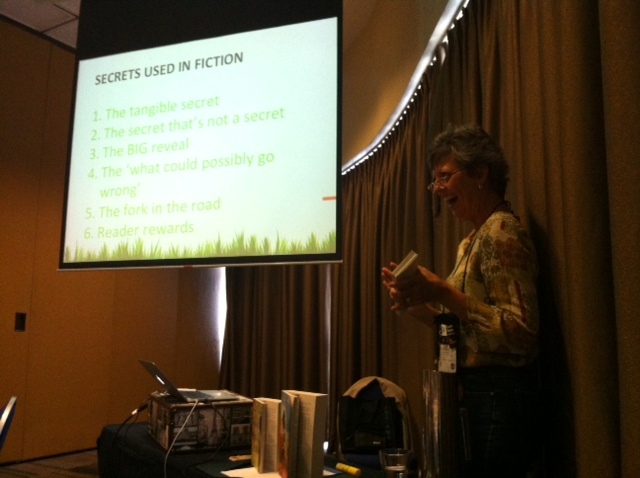 I had the pleasure of introducing Jenn J Mcleod’s workshop on small town twists and secrets which was fantastic and filled with lots of great ideas on how to make your small town story shine. Thanks Jenn! 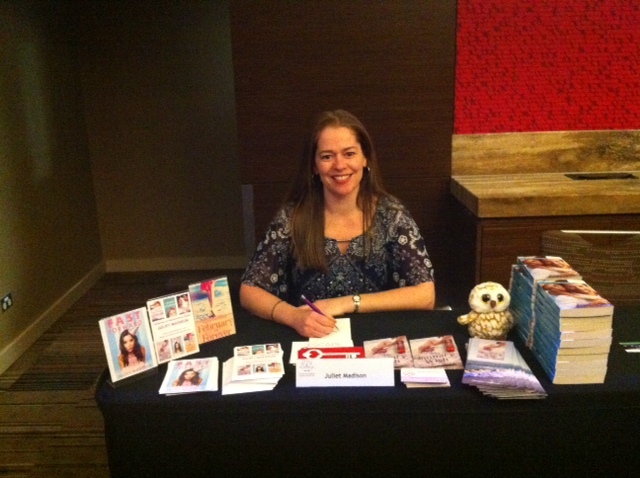 Saturday afternoon I went to my first ever book signing run by ARRA! (milestone moment, pass the Kleenex please). What does a digitally published author sign at book signings? Postcards, brochures, flyers…etc, and the occasional body part or handbag. I’m joking about the body part, not about the bag. Thanks to the readers who came up to say Hi! 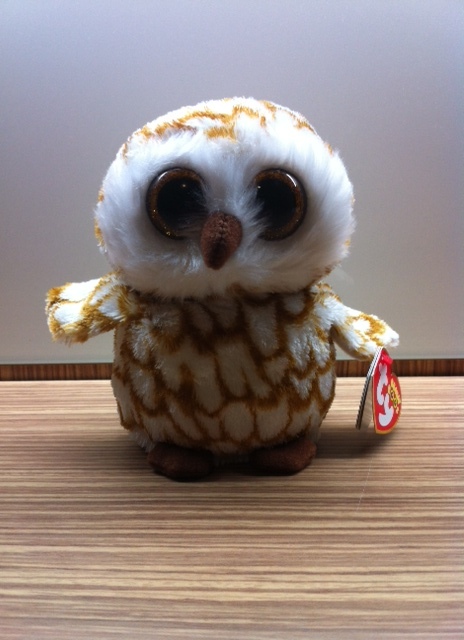 And thanks to my critique partner Diane who gave me a present: a fluffy little owl writing mascot, who I’ve called Solomon. He joined me at the book signing! There was much celebration after dinner with almost two hours of letting loose on the dance floor. Abba, The B52’s, Michael Jackson… nothing beats having some energetic, crazy, slightly daggy fun with some golden oldies (songs, not people… because everyone braving the dance floor was young and hip in my opinion) 😉 Escape had organized a photo booth with crazy dress-ups, and that was a hoot! (Solomon the owl told me to say that). Then we all dragged ourselves off to our hotel rooms to get a completely sufficient three hours of sleep before the Sunday workshops began. When the conference finished, my buddies and I had fun walking around Sydney Olympic Park among the crowds of people there for a big soccer match, looking for food to eat. We ended up back where we started and charged like swarming locusts towards a tiny table when it became available in the bar of the Pullman Hotel, where we squished plates for six both on the table and on laps. There, we discussed goals for the next year, book marketing, and what we want to achieve by the next conference. 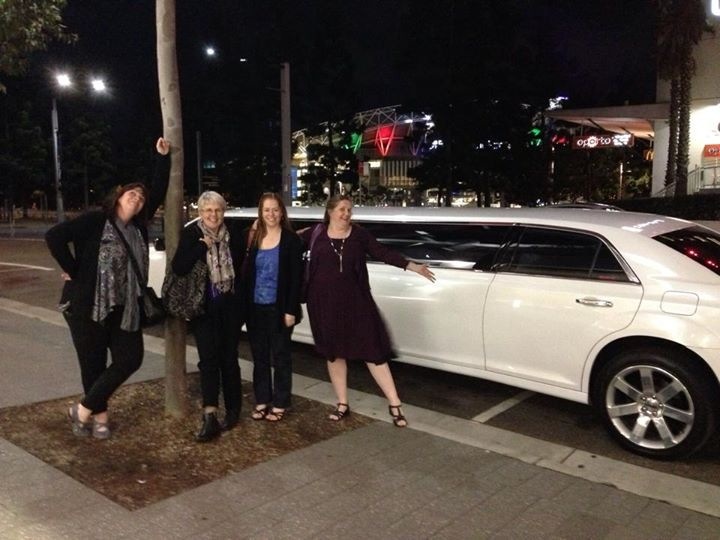 We also pretended the stretch limousine outside the hotel was ours. I love spending time with other writers, many of whom have become wonderful friends, and the RWA does a great job at putting on this annual conference and for that I am truly grateful. To see all the tweets about the conference, check out the hashtag #RWAus14 on Twitter. 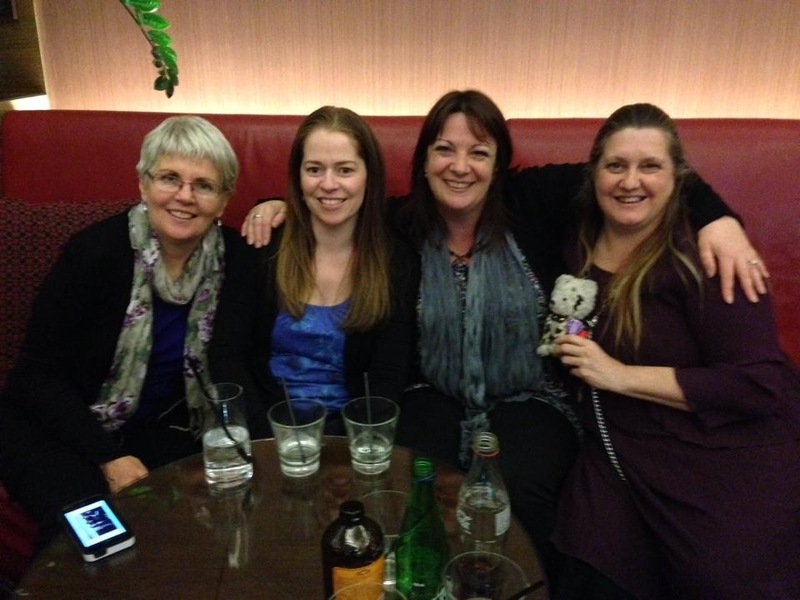 Posted on August 12, 2014, in General and tagged conference, romance writer's of australia, rwa, RWAus14. Bookmark the permalink. 3 Comments. It was so great to spend time with everyone, can’t wait till we do it all again! Great wrap up, Juliet. We’ve come a long way since that very first conference in Melbourne.